Chocolates! Wow, just thinking about them makes you salivate, doesn’t it? Absolutely everyone, around the world, loves to have chocolate in any form, whether it is a plain bar or a drizzle of sauce on your favorite milkshake or paired with whiskey, cognac or your favorite chicken wings. Anything and everything is accepted when it comes to chocolate. When it comes to the best and decadent chocolates, Switzerland takes the crown. It is home to some of the best brands in chocolate like Lindt, Toblerone, Läderach, Cailler, Frey, that are not just loved, but revered too. Since Columbus discovered cocoa beans 400 years ago, Swiss chocolatiers have enamored the world with their dreamy creations of truffles, pralines, cakes, mousses and more. 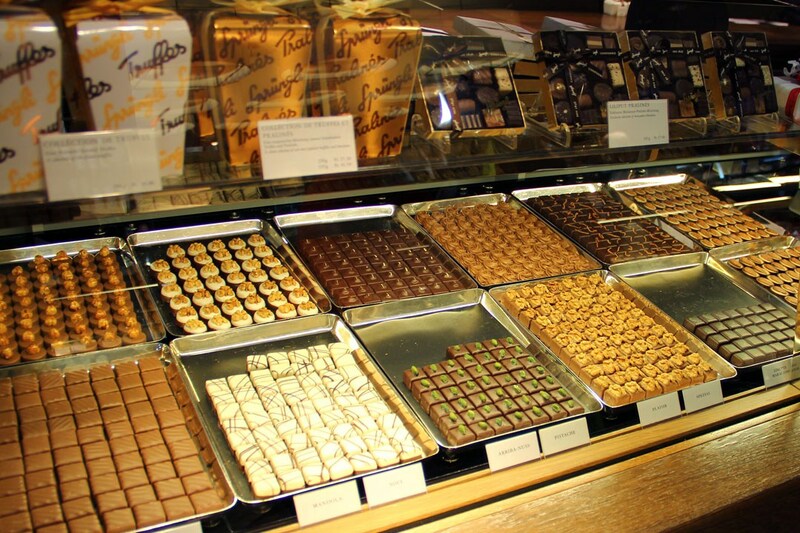 A swiss holiday without a tour of our favorite confectioners is incomplete. So, here’s our list of stores you must look for when your skiing in Switzerland. Schober is an exceptional store and café where you will find some of the best home-made chocolates, cream cakes, macaroons, lemon meringue tarts, and of course chocolate mousse. 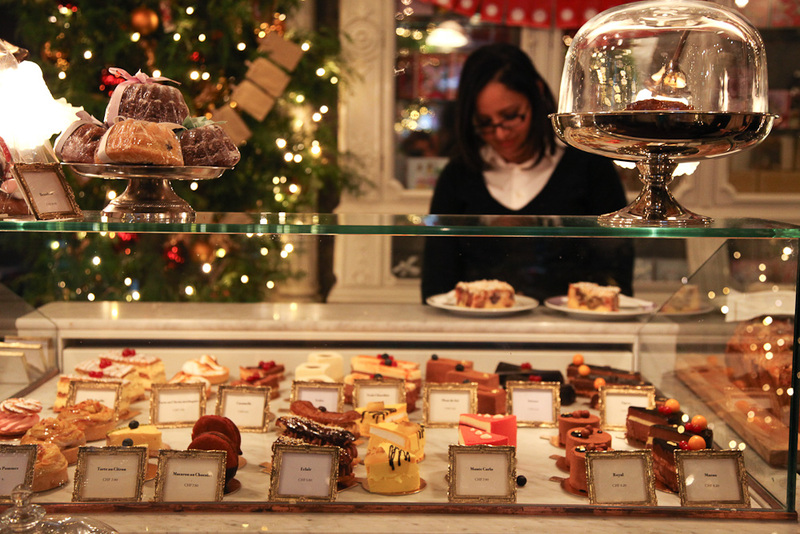 Located on Napfgasse 4, get a taste of its decadent goodies on display. Don’t forget to try their truffle gelée with gold leaf, champagne gelée, or the raspberry nougat. Haven’t you loved Lindt, since you discovered it. When in Zurich, make it a point to visit their factory store, though a guided factory tour is no longer available. The factory store has everything from bars, slabs, small special editions with untried flavor recipes, gift boxes, Easter bunnies, Santas, teddy bears, and more. Founded in 1836, it is located at Paradeplatz on Bahnhofstrasse since 1859. At Sprüngli you get to taste several decadent luxury pastries, filled chocolates, and ice cream. Known for its small macaroons, called Luxemburgerli in several flavors, they are a must try. 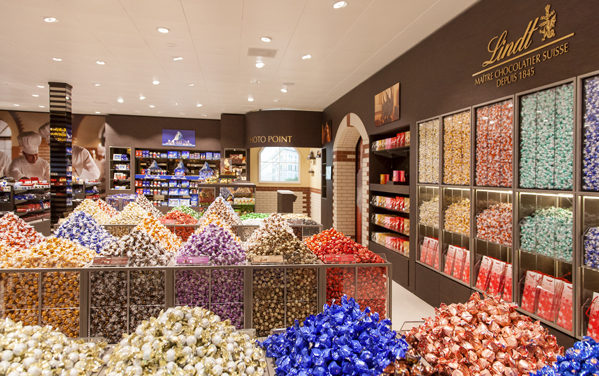 You may have used an entire bag just for chocolate from this store. Located on Zurich’s chic main street, Bahnhofstrasse, it has the best filled chocolates. 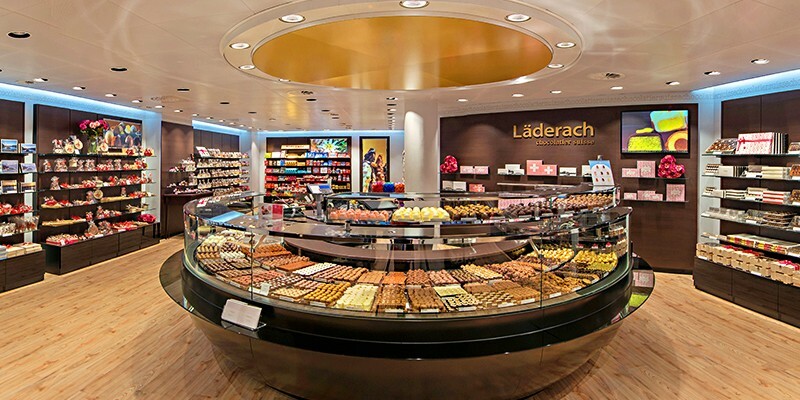 Läderach also presents a new, untried flavor as part of its Frisch Schoggi concept every month. Another chocolatier you must visit in Zurich located on Bahnhofstrasse. Founded in 1932, you can pick from a selection of sumptuously filled chocolates, that include champagne truffles made from dark chocolate, buttercream, and Dom Pérignon. 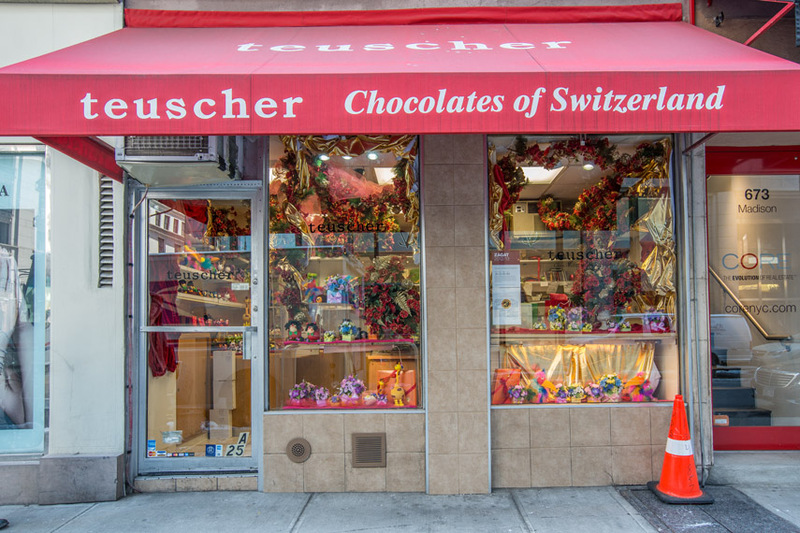 Teuscher also makes marzipan, cookies, and other chocolate goodies. Next Post 10 Reasons Why Hampi is a Must-see!